Does Robert Latimer Deserve a Criminal Pardon For Murder? Robert Latimer, a man convicted of second degree murder, is seeking a criminal pardon. On Oct. 24, 1993, Robert Latimer, a grain farmer from Wilkie, Saskatchewan, gassed his severely disabled daughter Tracy to death with the exhaust from his pickup truck. Eventually, after a series of trials and appeals he was convicted of second-degree murder and was sentenced to life imprisonment with a minimum of 10 years to be served before the possibility of parole. Latimer began day parole in March 2008 and full parole on Dec. 6, 2010. This summer he has begun campaigning for a full criminal pardon also known as a record suspension. What right does a care giver have to judge the quality of life? Can “I did it because I loved her and she was suffering” be a defense for murder? A poll was taken in 1999 where 73 per cent of Canadians agreed that Latimer acted out of compassion and that his 10-year life sentence was overly harsh. The very same poll also showed that 43 per cent many Canadians were in favour of the legalization of mercy killing. Born November 23, 1980 Tracy suffered from cerebral palsy due to a drop in her oxygen supply during the birth. She suffered severe mental and physical disabilities that included violent seizures. Tracy was unable to move her muscles and subsequently can neither walk or talk. She required continuous care and wore a diaper should be noted that her doctors considered the care given by her family as excellent. The orthopaedic surgeon that cared for Tracy gave testimony that she was indeed in constant pain and cannot be given anything stronger than Tylenol due to her antiseizure medication. Subsequently Tracy underwent a variety of surgeries to lengthen tendons and release muscles while correcting her scoliosis with rods inserted into her back. Tracy attended school on a regular basis in Wilkie and spent time in group homes. The workers describe how she enjoyed music and would smile with happiness and seeing her family visit her. It’s been stated that while her life was limited by her severe disability, her pain and suffering was not continuous. Her life had value and quality. Additional surgeries would be performed over time to attempt to alleviate some of the pain Tracy suffered. While the family was at church Robert Latimer use the exhaust of his pickup truck to kill Tracy. Initially Latimer had told local police Tracy died in her sleep. When the autopsy showed high levels of carbon monoxide Tracy’s blood he confessed. Initially Robert Latimer was charged with first-degree murder. He was subsequently convicted of second-degree murder by a jury and given life-10 (life imprisonment with no possibility of parole for 10 years). Latimer then lost an appeal to the Saskatchewan Court of Appeal. 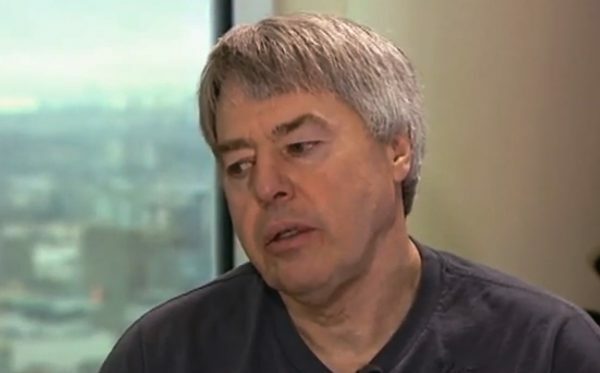 In February 1997, the Supreme Court of Canada ordered a new trial for Mr. Latimer because of the allegations of jury tampering by the original Crown prosecutor. Ultimately Robert Latimer was found guilty of second-degree murder in 1997 and a 10-year sentence was recommended. The sentencing judge however gave him 2 years less a day based on the argument that minimum sentence for second degree murder,10 years, to be “cruel and unusual punishment” in the circumstances. This is later be struck down in 2001 and his 10-year sentence would stand. Robert Latimer the answer is sentence on January the, 2001 at the located on the Cooper Island. During this time, he maintained the family farm by employing a farm manager. Robert Latimer said his actions were motivated by love for Tracy and a desire to end her pain. It’s just one example of the many ethical dilemmas that present themselves in our Justice system. Our job at Pardon Services is to help people restart their lives by putting their past behind them and sealing their criminal record. This allows people to travel, work better job, and apply for educational programs they otherwise couldn’t with a criminal record in their past. What are your thoughts on Robert Latimer’s request for a pardon? Pardon Consultations are free and your privacy is assured. Call us at 204-453-0099.